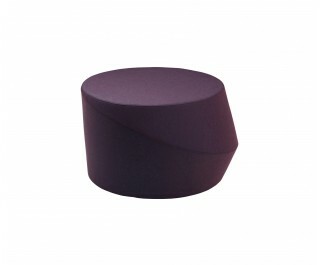 Giro is a system of ottoman that develop in a series of circular seats. Like a whirlwind unfurling, thanks to the size of its diameter, into a series of three poufs, each one appears diverse from the last depending on your standpoint. Giro takes up the game of hula hoop, its movement; it moves in a three-dimensional space and its colour lends it tone, shading. Available fixed or with a swivel base.